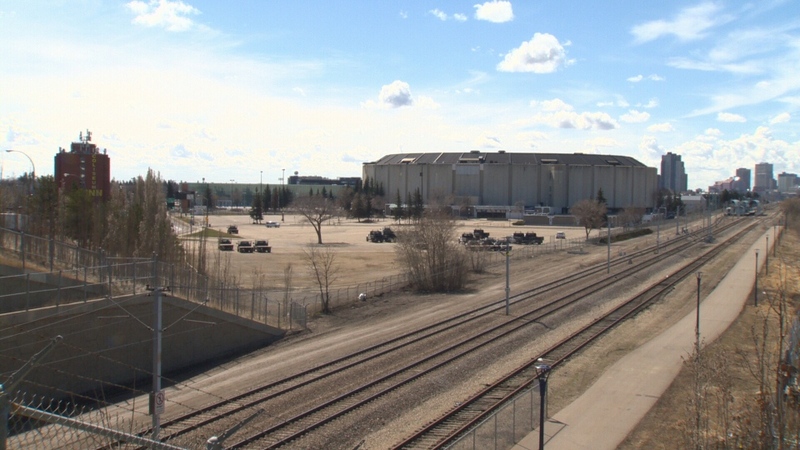 The city is discussing demolishing the former Northlands Coliseum and Northlands Park Racetrack and Casino to create a transit-oriented community. An early vision for the exhibition land includes a civic hub or education building, an expansion of Borden Park, and “transit villages” on both sides of 118 Avenue. Part of Wayne Gretzky Drive would be turned into an “urban boulevard,” meaning the north and southbound lanes would no longer split near the current coliseum site. The proposal also suggests moving the Coliseum LRT Station more north and creating a new train station on the southwest side of the site. Last fall, Brennies’ team took four concepts to the community and stakeholders for feedback before coming up with the latest design. Ward 7 Councillor Tony Caterina told CTV News his first impression is that the proposal lines up well with what the community wants. 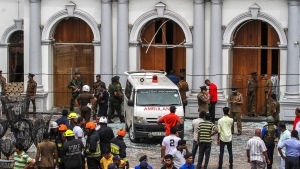 “There’s been probably complete support. We’ve had a number of community groups that have been involved for the past year providing suggestions on what they’d like to see there,” Caterina said. K-Days will be unaffected by the development for four to five years, according to the councillor, but will likely have to be reimagined as the project continues. It’s too early to know when construction will start. Councillors will discuss the plan at City Hall next week. 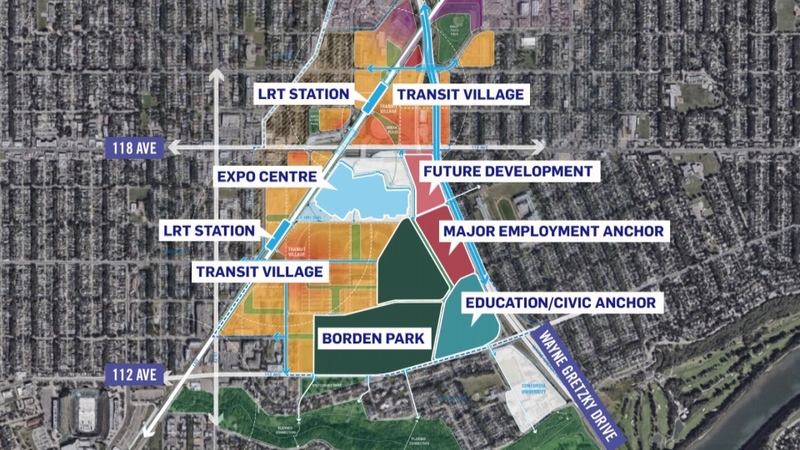 An early vision for the city's former exhibition grounds includes a civic centre or education building, an expansion of Borden Park, and transit-oriented housing developments on both sides of 118 Avenue. If a plan by the city goes forward, the land of the former exhibition grounds would be rejigged into a transit-oriented community.